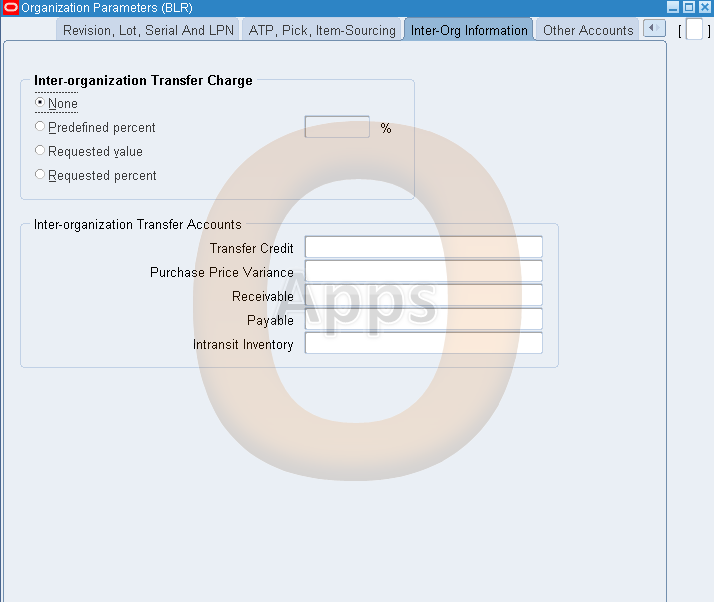 Accounting Convention In multi org structure we will follow the same calendar, currency and chart of accounts for the companies. 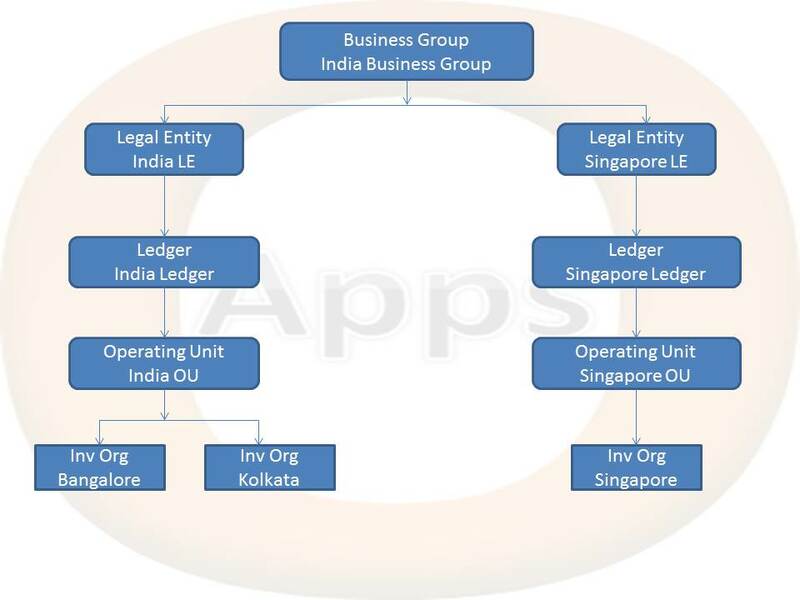 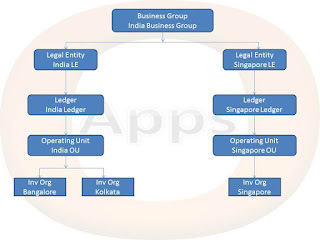 In the above scenario as we have the companies in 2 different countries we will have 2 different ledgers. 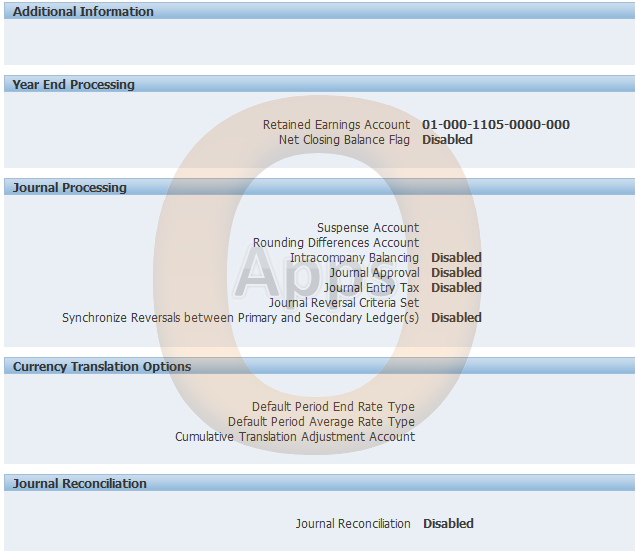 You can create your own Chart of Account, Calendar, Currency and Subledger Accounting Method or you can use from the system. 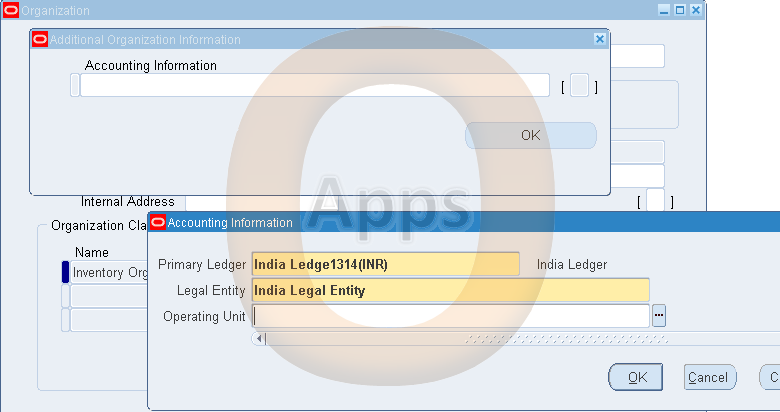 Click on the Update action for Ledger options and proceed next till finish. 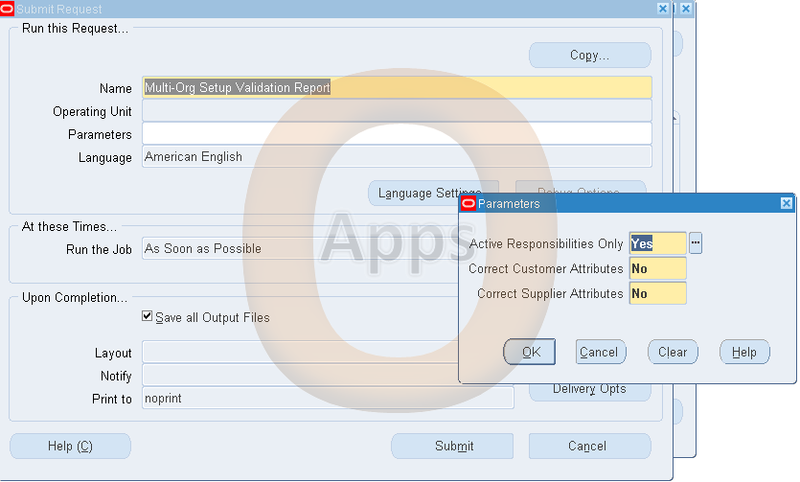 Click Ok, then Yes for the Save pop up. 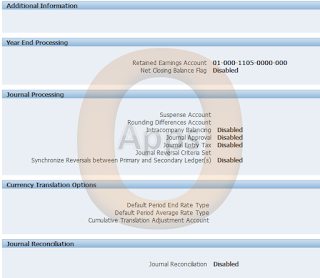 This special feature of R12 allows users to submit or access data of multi operating usint using one responsibility. 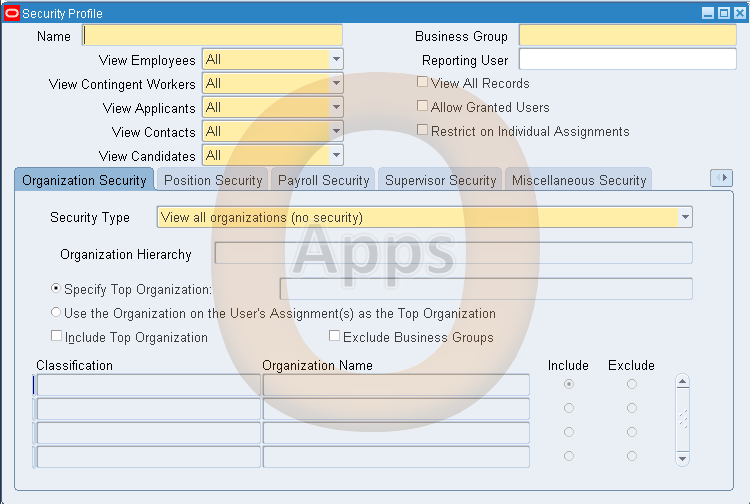 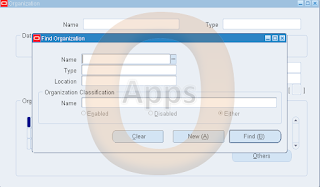 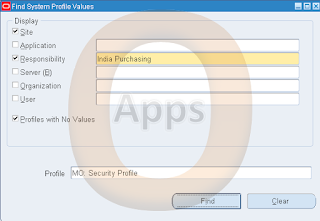 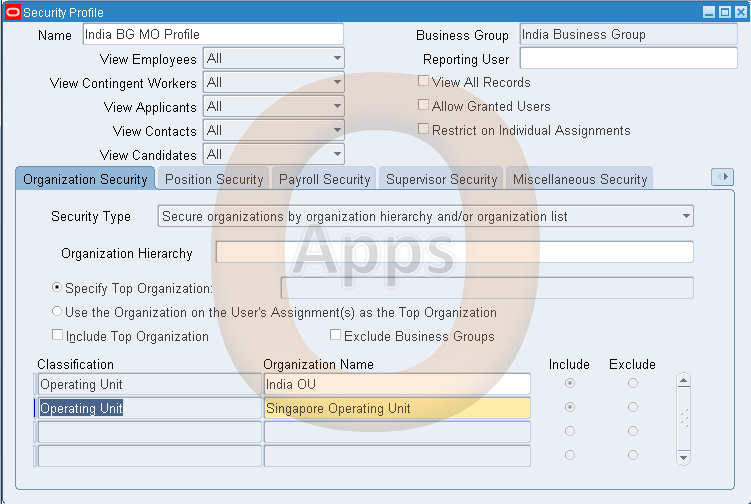 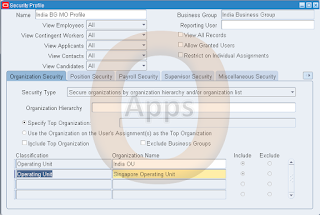 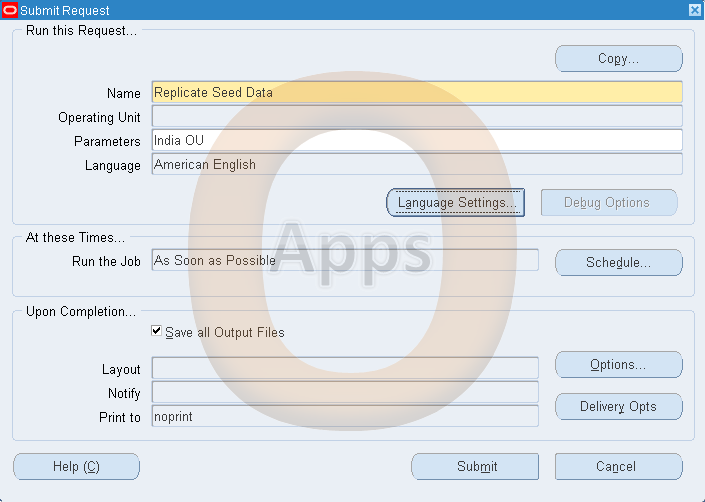 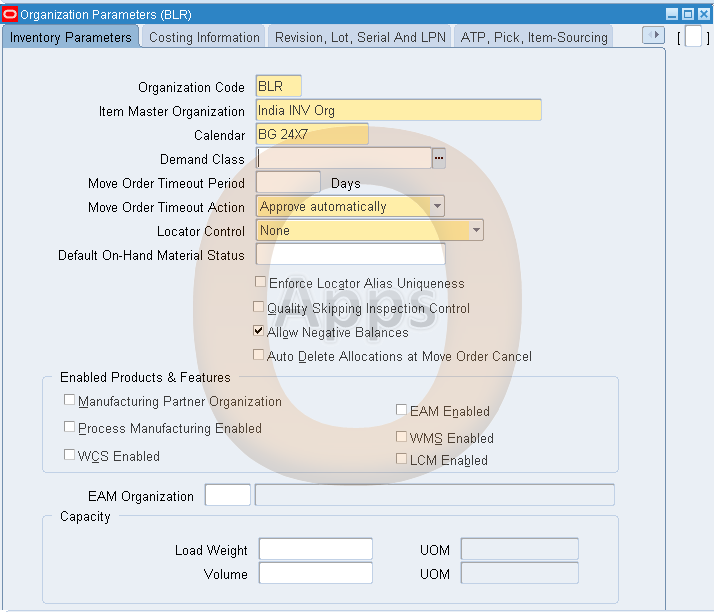 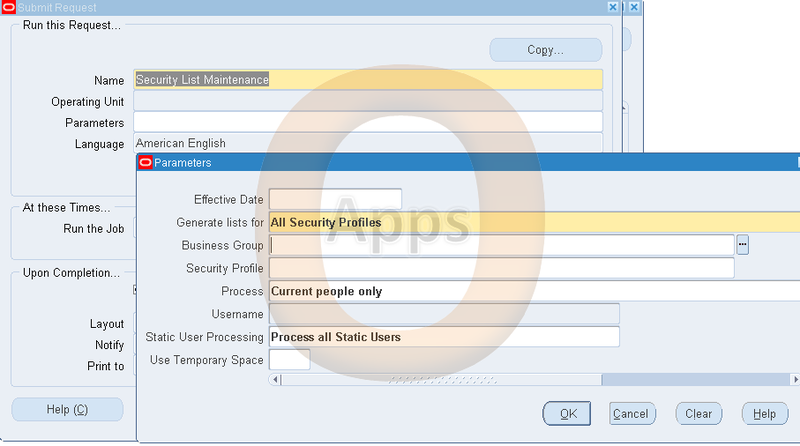 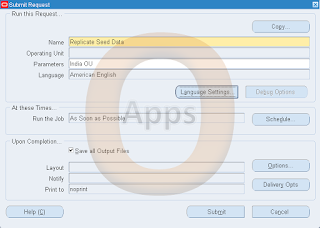 MO: Default Operating Unit: Even though you have the flexibility to choose many orgs or operating unit from the responsibility, if you want to default any specific operating unit in the responsibility, you can use this profile option. This can be set at responsibility and user level. 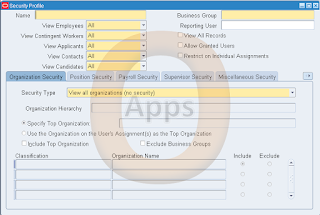 This comes into picture when you are using Multi Org Access Control (MOAC). 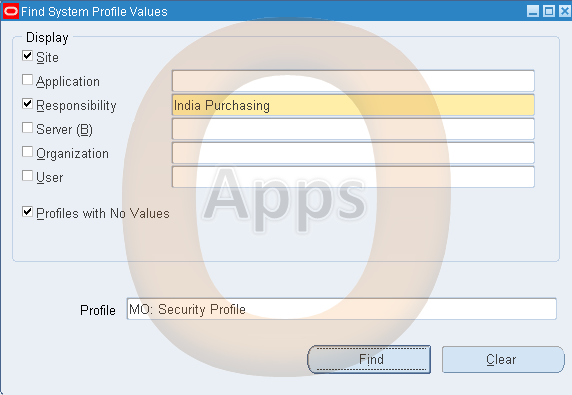 But if you are not using MOAC and want to tag the responsibility or user to an Operating Unit, you can use the profile option MO: Operating Unit. 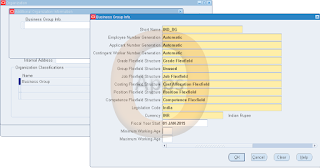 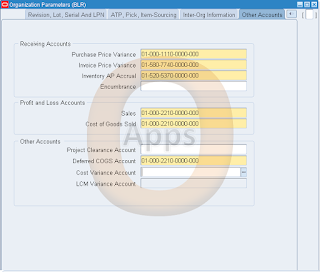 If you are using Order Management responsibility to test this and using Sales Order Form, then Operating Unit field is not visible. 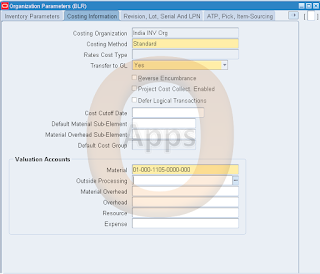 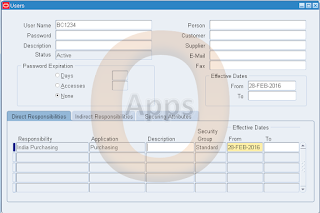 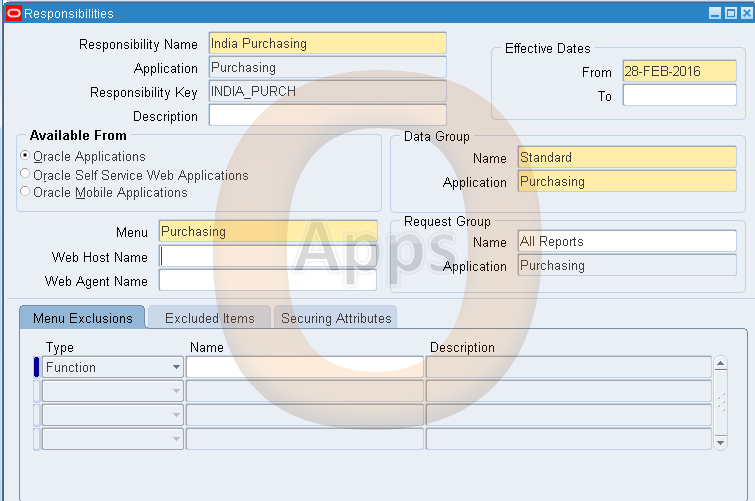 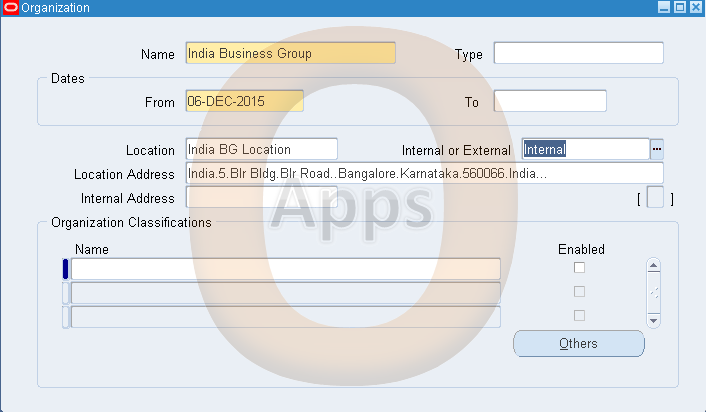 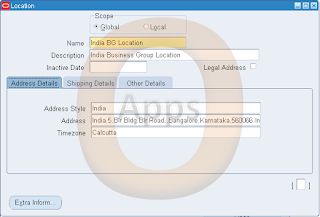 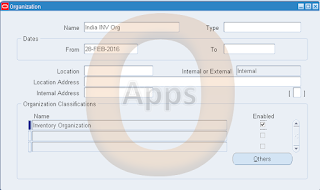 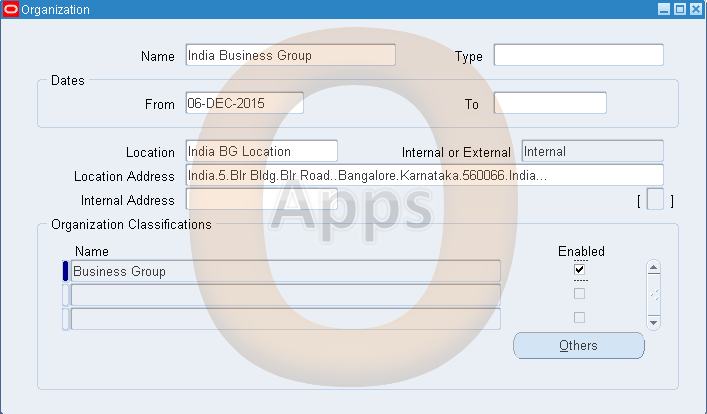 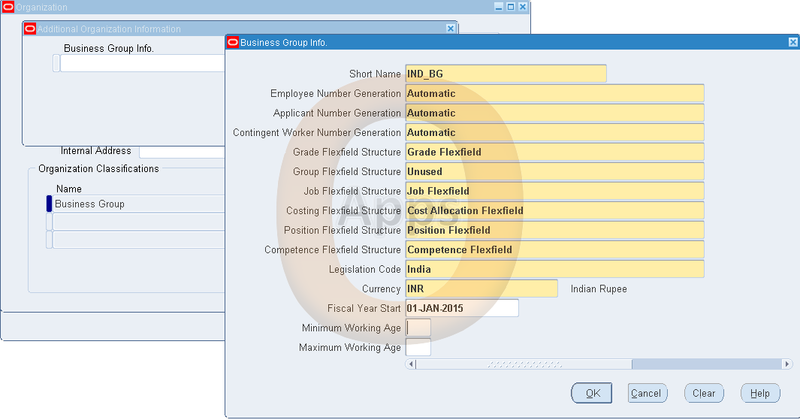 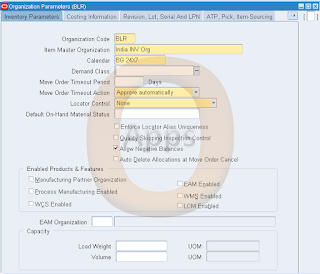 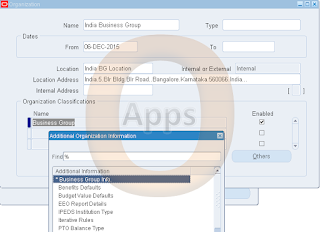 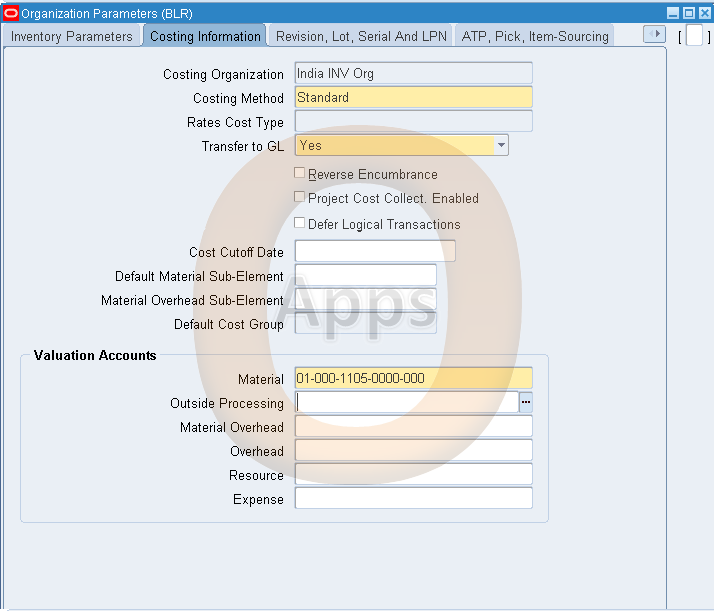 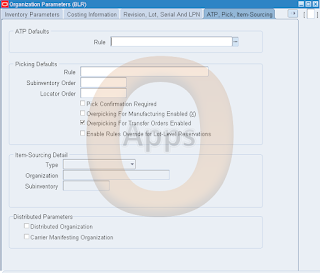 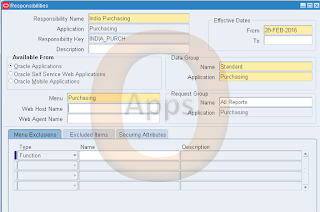 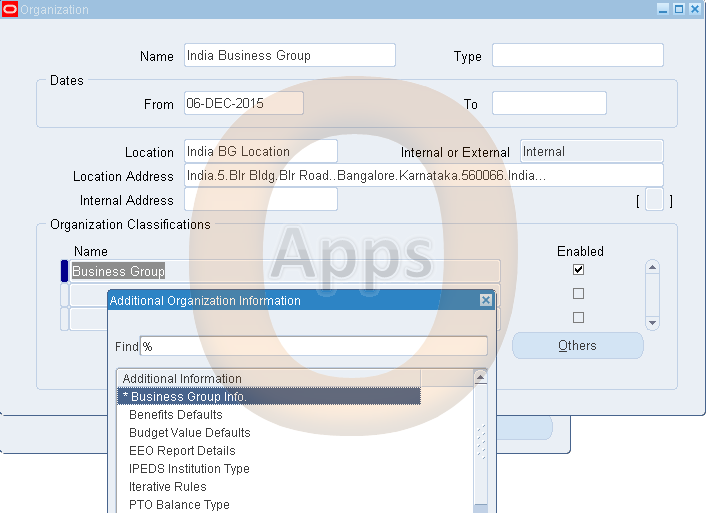 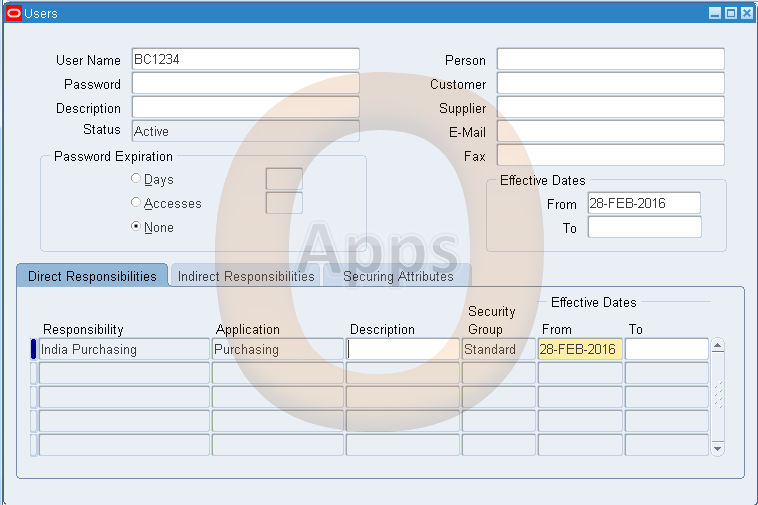 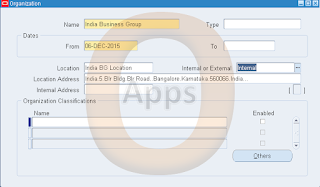 To show Operating Unit in Sales Order form, you can use folder tool to move the existing field and and show the Operating Unit filed. 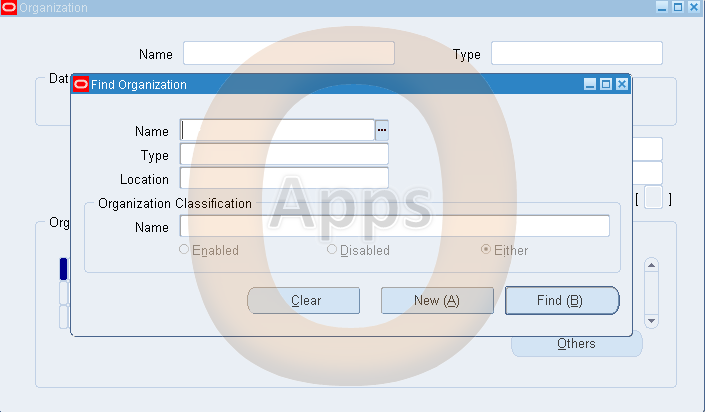 You can define your own folder. 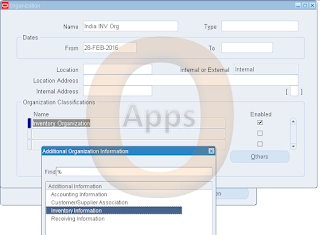 Also you can default folders to any responsibility.